Turkish LUG 2011 Conference: Guess who is coming? As you noticed, Turkish Lotus User Group is organizing the first annual conference in Istanbul on 17.03.2011. As you guess, Ed Brill will be the keynote speaker for the conference! Once again, Ed Brill indicated how he cares about Lotus Community with his sincere approach to our invitation. Turkish LUG will be excited about his participation. Ed Brill is Director, Product Management, IBM Lotus software. In this position, Brill and his team are responsible for the product and market strategy for Lotus Notes, Lotus iNotes, and Lotus Domino, market-leading collaborative software, LotusLive Notes, Alloy by IBM and SAP, and other related Lotus-branded software solutions. 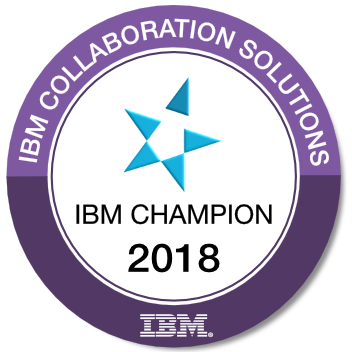 Brill's focus is on growing and continuing IBM's success in messaging and collaboration software, through working with customers, business partners, and IBM sales, marketing, and product development organizations. Ed's responsibilities in this role have included the market launches of Lotus Notes/Domino 8.5 and 8.5.1, the introduction of Alloy, the release of Lotus Symphony 1.3, and plans/development for LotusLive Notes, an IBM cloud offering for messaging and collaboration. Just to remind, Submissions for Session Abstracts are still open. Submission form can be downloaded from here... Don't forget that the deadline is 21.01.2011. There are some minor details on my previous blog. Looking forward to returning to Istanbul and talking with all of you.